← New Zealand Wine Centre – what a find! OK so my veneer is very thin – my main reason for this blog – to share my passion for wine. I know there are lots of us out there – now there’s one more! I am just polishing off the last of a beautiful wine that I must tell you about. 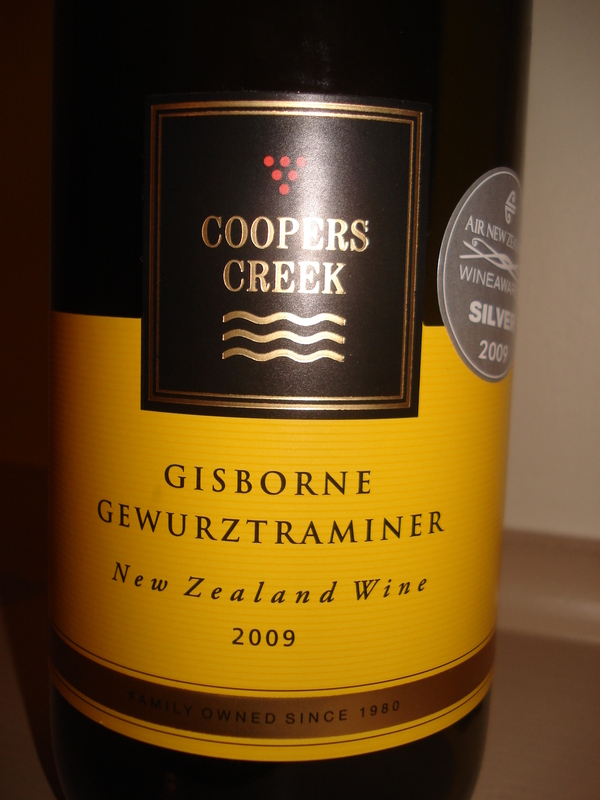 I brought it back from NZ a few days ago – not sauvignon blanc, not a pinot noir – but something that NZ is equally fabulous at making – a Gisborne gewürztraminer. Such an under-appreciated wine. This pale straw wine bursts with flavour. The first flavours to hit the nose are ripe tropical fruits, a touch of honey, with lifted notes of delightful Turkish Delight. The palate is soft and balanced and full and so so luscious… The aromatics will make you groan with pleasure, the palate will follow through with no disappointment… Full and soft juicy tropical fruit with zingy ginger spices, lingering to leave you savouring the spice and juicy flavours. Satisfying, luxurious, exciting – the nectar of the gods – and only around the $17 mark in NZ. Just beautiful. Get into gewürz people – it’s such an under-appreciated gem. This entry was posted in Gewurztraminer, New World wine, NZ wine, Wine varietals and blends and tagged Coopers Creek, gewurztraminer, NZ wine, Wine. Bookmark the permalink.